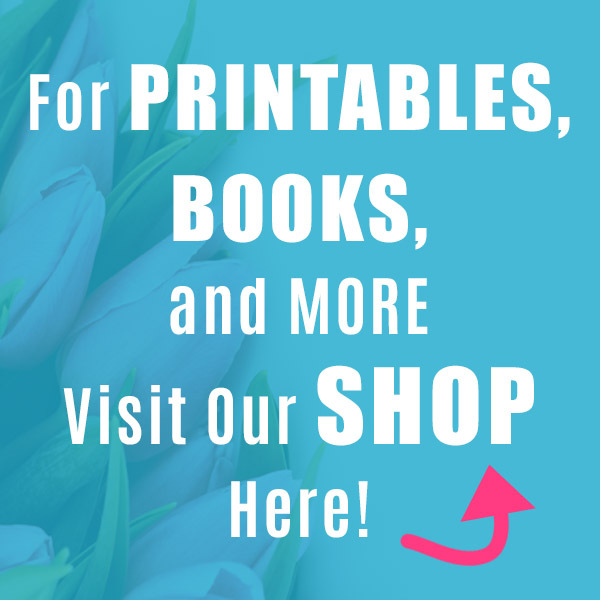 Creating a nice Easter basket can be trickier than finding good Christmas presents! 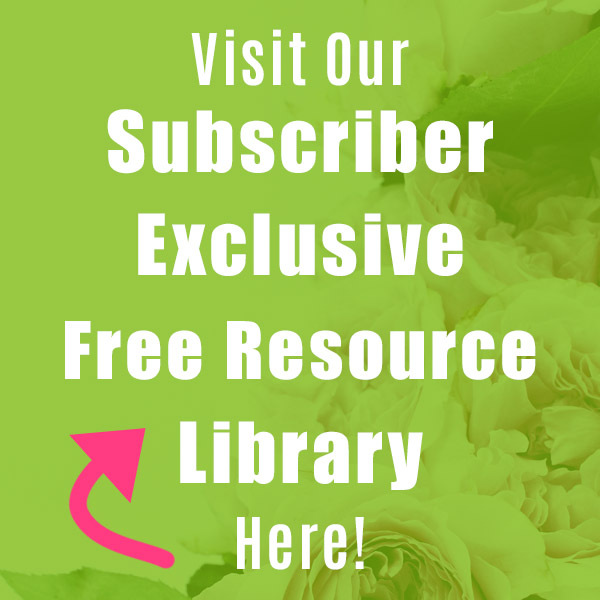 Not only do you need to fill the basket with nice little gifts, but you also have to make sure the basket itself is visually appealing. I usually get empty Easter baskets from the store to fill for my kids, but this year they all seemed kind of plain to me. 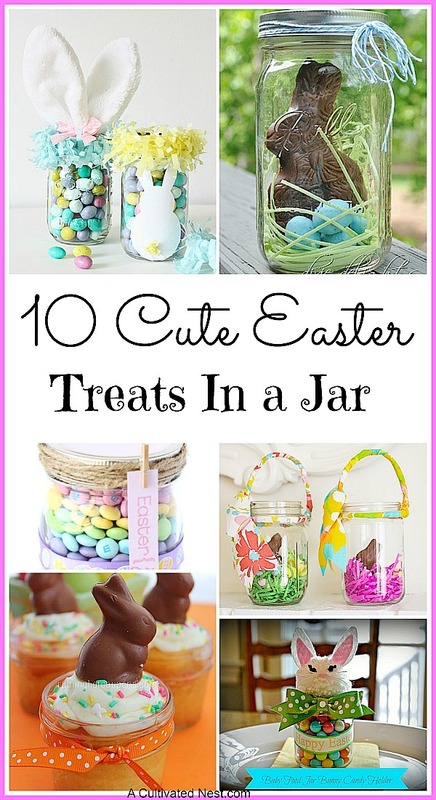 So I figured, why not use my DIY skills to make some cute custom Easter baskets this year! 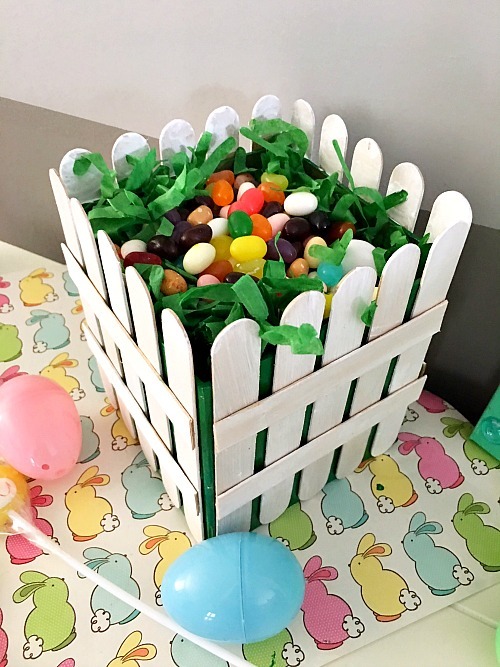 All you need is a few inexpensive materials to make this DIY Picket Fence Easter Basket! I like to fill my kids’ Easter baskets with a mix of food treats and non-candy gifts. I usually can pick up some inexpensive toys in Target’s Dollar Spot or in the dollar store. Amazon also has a good selection of inexpensive Easter basket stuffers. 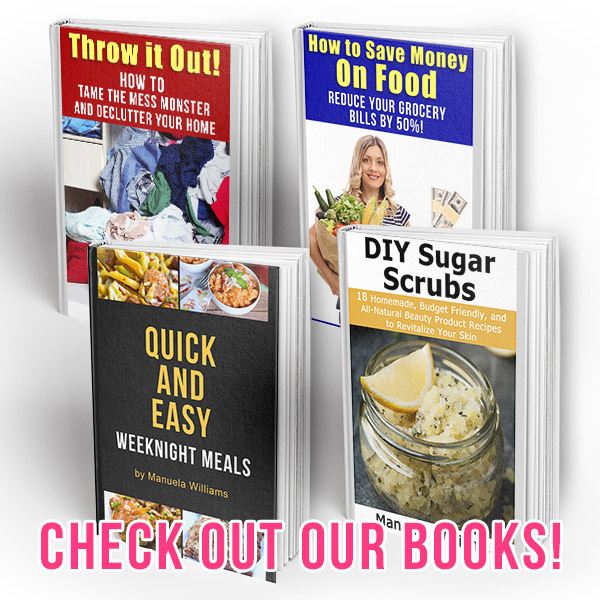 While I like to save the majority of the Amazon gift cards I earn through Perk for Christmas, I do use a few of them to get some cute, small Easter toys and treats from Amazon! 1. Lay out some newspapers in a well ventilated area. 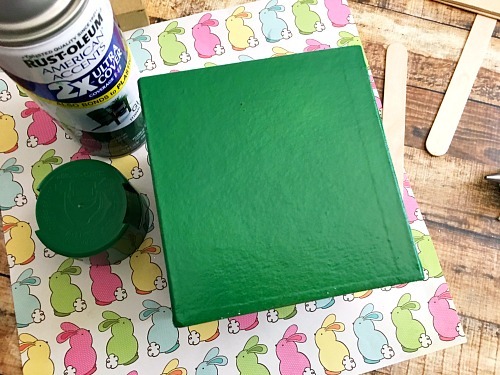 Put your craft box on them and spray paint it green. Let dry. 2. 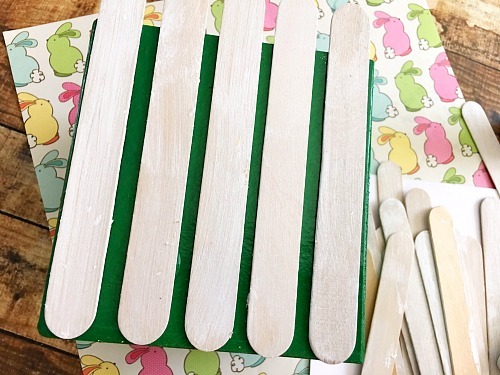 While your box is drying, paint all 28 craft sticks white and let dry. 3. Carefully hot glue your white craft sticks vertically around the outside of the box, 5 to a side. 4. 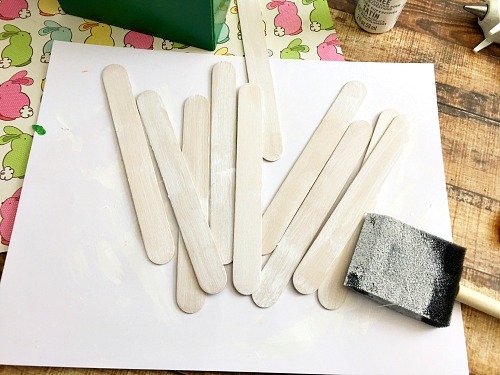 Then cut the ends off of 8 white craft sticks carefully with scissors and glue them horizontally across your vertical white craft sticks, leaving an inch or two in between. 5. 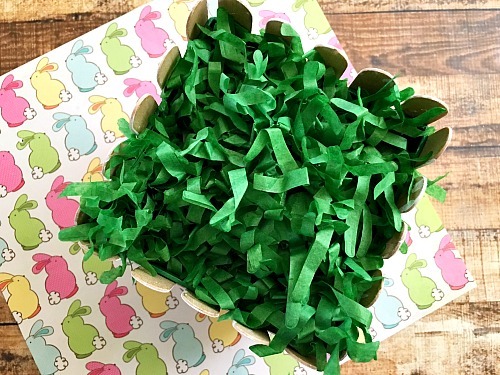 Fill your box with faux grass. 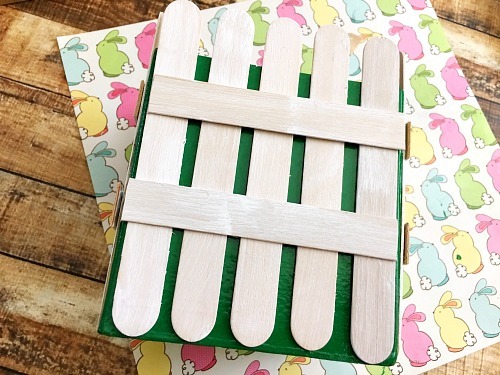 Then fill your DIY picket fence Easter basket with goodies! This Easter gift basket doesn’t have to be used as an actual gift basket. 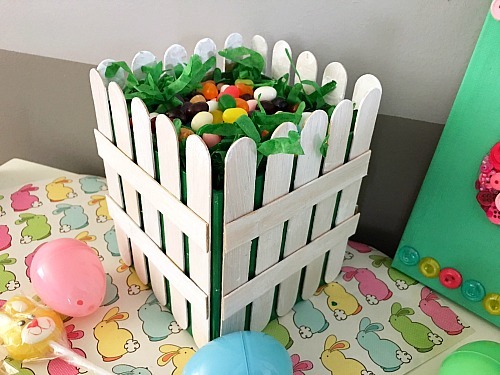 You could also just place it on a table and fill it was snacks for an Easter party! 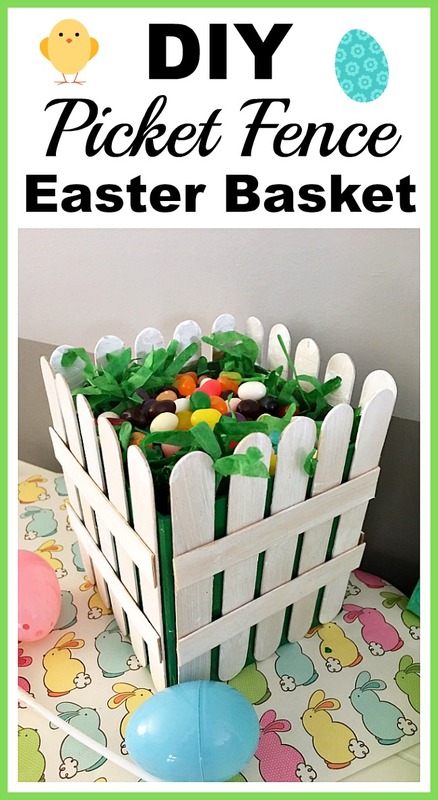 Have you ever made a DIY Easter basket before? Always a fun project – reminds me of the one I did last year. The kids loved it. Think I made Easter basket with weaving long time ago. All our kids and even grand kids are grownup already so not Easter basket material. Used to make lots of Easter decorations for grand daughters as well as for other holidays. 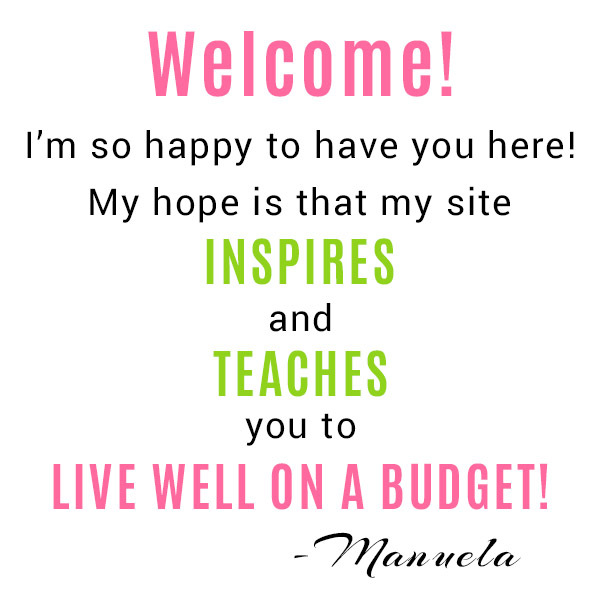 Your basket cover is simple, cute and inexpensive. Even tho no more kids to make for still decorate for holidays for us. Keeps me busy making and decorating while keeping home refreshed and cheery. Great project, would be cute around a plant also. Those are so cute. I’m sure the little ones will love them.